Within the conference, the following list of awards and recognitions will be given to those speakers who stand out in the competitions and activities proposed. 1st prize: 200 euros and accreditation diploma. 1st prize: 300 euros and diploma. 2nd prize: 100 euros and diploma. 2nd prize: 150 euros and diploma. 1st prize: 1000 Swiss Francs and diploma. 2nd prize: 500 euros and diploma. 3rd prize: 500 euros and diploma. 1st prize: 600 euros and diploma. For each category. AEPIA aims to give greater visibility to women researchers in the field of Informatics in general and Artificial Intelligence in particular. It must be the job of public bodies and information technology associations to promote the presence of women in the classrooms of our centres. This award is intended to promote the great work of scholarship holders, professors and researchers to serve as an example to future students of computer science studies. 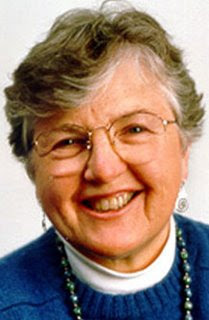 Frances E. Allen is an American scientist, first woman to win the Allan Turing Award in 2006. Expert in compilers, code optimization and parallelization, her name is intended to pay homage to pioneering women in research and work in computer science, almost always identified with men. The submission of proposals for the Fances Allen CAEPIA'18 awards requires prior registration on the EasyChair portal. Two prizes of 300 and 150 euros respectively and a diploma will be awarded for the two best doctoral theses defended by women from 1st June 2016 until the final date of receipt of proposals in the field of AEPIA research. Title of thesis, director/s, department and University. The list of relevant publications, which must include the JCR index of the journal, relative position in its field and citations in SCOPUS or WOK and its relationship with the doctoral thesis. Brief justification of the relevance of the thesis: transfer of knowledge obtained from it, projects, stays, etc. We are pleased to announce that the 2018 Best Spanish PhD thesis in smart cities in CAEPIA 2018 sponsoring by Sensors (ISSN 1424-8220, IF 2.677, http://www.mdpi.com/journal/sensors) is now open. We also have two smaller awards sponsored by the Spanish network on research for Smart Cities CI-RTI (http://www.cirti.es). Sensors is a leading magazine dedicated to the rapid publication of the latest achievements of technological developments and scientific research in the vast area of physics, chemical and biochemical sensors, including remote sensing, sensor networks and sensors. Both experimental and theoretical papers are published, including all aspects of sensor design, technology, proof of concept and application. Sensors organizes special issues dedicated to specific detection areas and their application each year. SENSORS magazine sponsors the award for the best thesis on Smart City in Spain in the context of CAEPIA'18, and invites speakers to submit extended papers to the journal. In addition, the following special issue on Intelligent Systems for Exploiting Real Sensed Data in Smart City Applications is reported. Award flyer for CAEPIA 2018 conference. 1000 Swiss Francs for the winner and diploma. Two other awards of 500 euros each to finalist works plus diploma. We welcome nominations and applications for this award until 30th September 2018. The winners will be announced during CAEPIA 2018, Granada (October 23-26). The SENSORS+CI-RTI winner is expected to attend and make a short presentation of his/her PhD thesis. The submission of proposals for the SENSORS+CI-RTI CAEPIA'18 awards requires prior registration on the EasyChair portal. PhD Theses presented along 2016 to august 30th 2018, defended in any Spanish research institution. Groundbreaking in smart cities, and intelligent systems for IOT/sensors. Detailed Curriculum Vitae including an updated publication list and a list of the researcher’s own research grants. Scanned copy of doctorate certificate. Signed nomination letters from two established senior scientists.